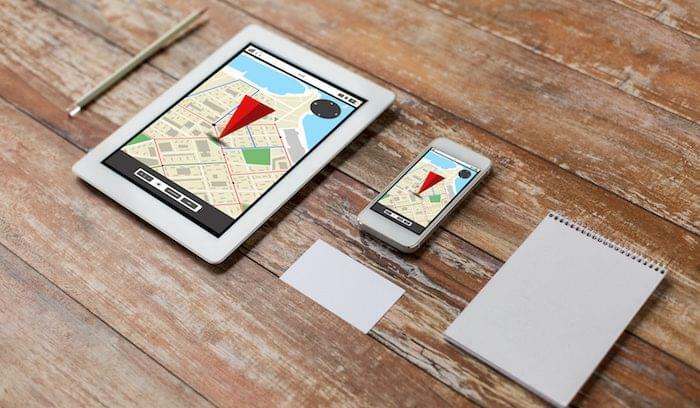 Sales mapping software is a fairly new addition to the tech world, but integrating sales data with geolocation and mapping is quickly becoming a best practice for outside sales. The least technical versions of sales mapping software overlay spreadsheet data on maps. The most advanced integrate CRM data and administrative tracking capabilities. Your accounting department should be shouting for this software. Building the shortest routes between customers gives your sales team more time to meet with more clients and cuts fuel and mileage costs. 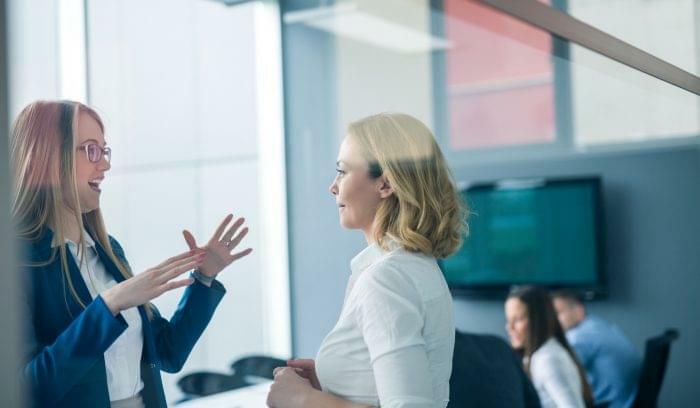 Many of these tools also include check-in capabilities, so managers can keep an eye on their reps without making half a dozen phone calls. This list gives you several sales mapping software options to choose from, depending on your business needs. Some products provide advanced features and broad horizontal integration, while others just cover the basics. Badger Maps designed their app with dispersed sales teams in mind. The mobile interface plots the fastest route between customers, and live traffic updates help you avoid delays. With all that extra time, you can use the app to search for new leads in your area. As sales reps work their way through their route, a check-in feature updates the system to keep managers and other stakeholders informed. The check-in feature also stores information about client visits to keep follow-ups from falling through the cracks. Universal compatibility with almost any CRM, as well as spreadsheets and calendars, make Badger a strong contender in the sales mapping space. You can also report from the app to target customer segments and find new lead openings. 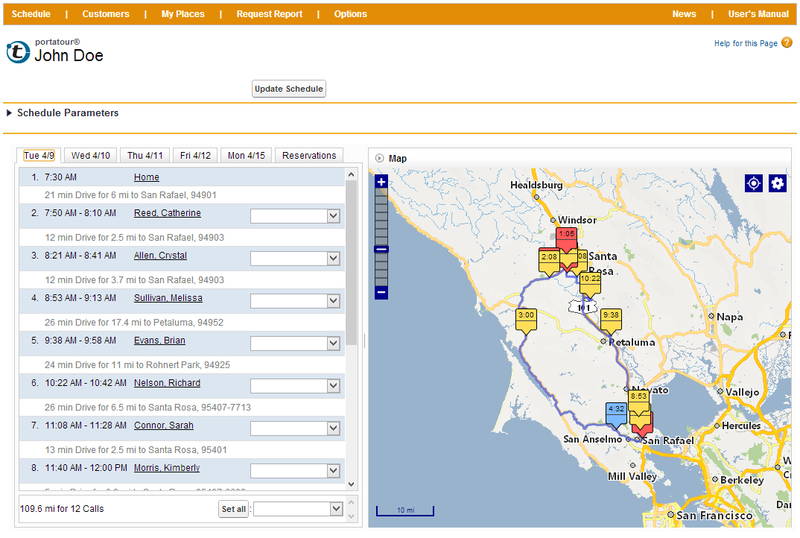 Portatour’s mobile interface connects with your CRM to build sales territory maps and driving routes. It pulls existing customers, calls, and appointments, and builds the fastest and most direct routes for your sales team. You can even automate your schedule updates so the maps reroute your teams based on the latest data. Custom reports keep managers informed of progress to sales goals and accounting status. Portatour’s strength is its focus on planning. 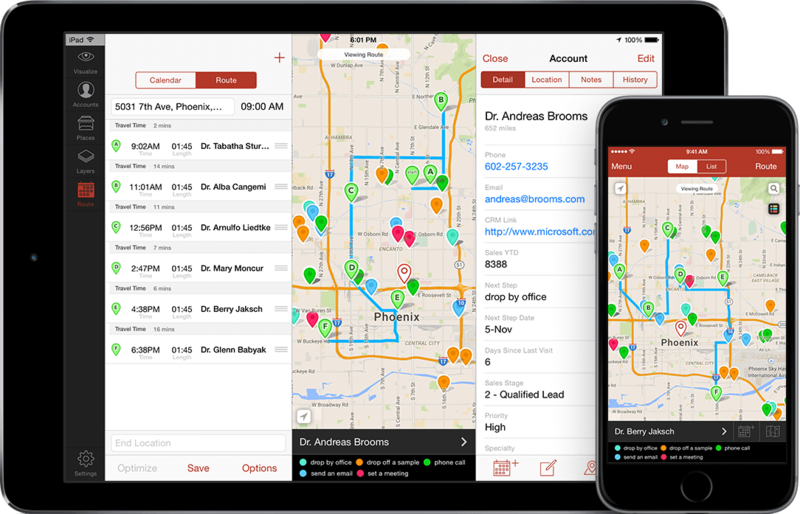 Prepare your routes up to 28 days in advance, and they’ll automatically adjust to missed or deferred calls and schedule changes. The built-in customer database holds up to 1,000 customers and schedules up to 125 calls at once. Portatour suggests its software for sales teams with more than 100 clients in an area; it can plan for large territories and overnight stays in the middle of routes. Callproof’s mobile mapping software is great for large outside marketing teams with rapidly changing schedules that need flexibility, but also manager oversight. Upload customer information to build your routes through Google Maps, and you can even use Street View to locate clients in unfamiliar areas. Create and save multiple routes at the same time, and give managers oversight of all sales movements with geo-tagged check-ins. 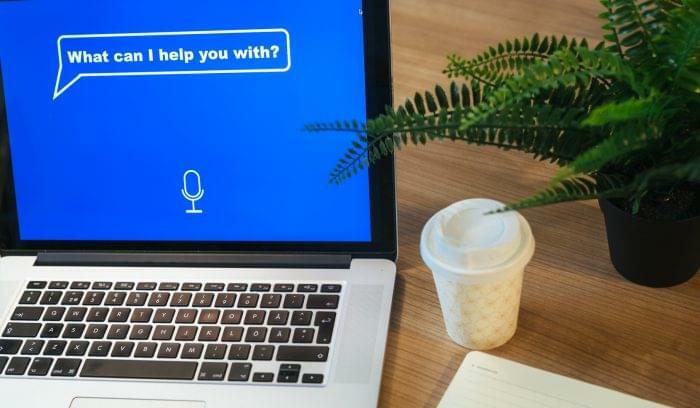 This software’s flexibility lets you add new customers on the fly and alerts reps based on customer-specific notifications. A newsfeed of all check-ins and movements keeps everyone informed, and managers can import or export data from the app. A direct Wufoo integration gives reps direct access to business forms and contracts and updates completed forms in real time. Yellowfin’s software platform extends well beyond mapping into business intelligence (BI) visualization, but if you need a system that makes a lot of visualizations for multiple departments, Yellowfin meets that need Because it caters to a BI crowd, Yellowfin connects all sorts of data to help you build your maps, not just CRM. This software’s major plus is found in its connections marketplace. Yellowfin has built lots of integrations with major business brands and useful tools, including geocodes, MailChimp, Salesforce, Zendesk, and Expensify. If you can’t find what you need, use the developer API access to build custom connections with your in-house databases. eSpatial is powered by Google Maps and overlays data points on existing or drawn territories to build sales maps. Whether you bring your own data or use free world-wide census and government data to inform your maps, all of it can be segmented, filtered, and analyzed. eSpatial does offer Salesforce integration, although it’s still in beta. Route planning is built with all the bells and whistles of Google Maps, including turn-by-turn driving directions. Territory-based businesses will enjoy the visualizations that go beyond territory and route mapping and even combine other types of chart data for complex analysis. Batchgeo lets you share maps with stakeholders or embed a custom map in your website for customer use. This option wasn’t specifically made for sales, but the general functions work well enough to build sales maps with. Try out the free tier, but if you don’t want ads on your maps, you’ll need to upgrade to the Pro edition. Other Pro edition extras include heat maps, faster data processing, streetview overlay, and enhanced security. BatchGeo also offers a native app for all pay levels with built-in filtering capabilities and driving directions to keep your sales team from using multiple apps while driving. 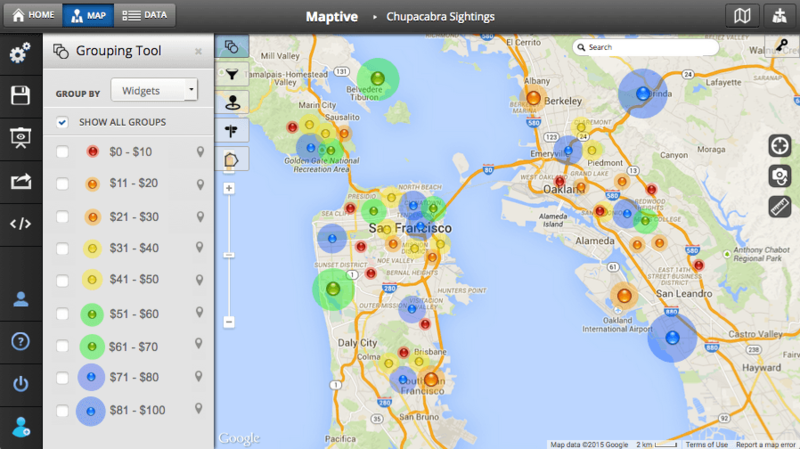 Like many other options on this list, Maptive runs as an overlay on the Google Maps enterprise platform. They offer a couple of options for uploading data: directly from a CSV file or through automatic API sync. The entire platform is browser-based and lives in the cloud, protected by 256-bit SSL encryption. While Maptive doesn’t include a lot of the extras found in other sales mapping solutions, its simplicity is appealing in itself. Customize your maps and share them with stakeholders. Use easy segmentation to build sales territories, and drive quickly from one location to another along the fastest route. Mapline is the most basic of all of the mapping solutions on this list — not designed specifically for sales, but adequate for sales purposes. Companies that use spreadsheets for client data can import from Excel to overlay on a map of their area. You can draw territories according to custom shapes, client concentrations, or government areas. Once you’ve built your map in Mapline, your data can live there for future route mapping. You can embed and share reports and assign information to map pins. But if you want to analyze your maps based on client location, proximity, activity, or other segments, you’ll need to export all or part of the data back into Excel. Mapline is a stripped-down solution for basic mapping tasks. Sales mapping software eases travel times and increases productivity for your dispersed teams. You can plan more strategic routes, build more effective territory maps, and easily share your data with management teams and accounting . . . or you can blindly dispatch your sales team and let them find their own way. If you still need help navigating (haha pun) the mapping software market, give us a call for a free assessment. We’ll help you decide which solution is the best choice for your team. Great article and super helpful list of sales mapping apps! I’m on the free trial with Badger Maps and love it so far. It really helps me work more efficiently and get better organized with all my customer data. I have more time now to see more customers per day, so this app is definitely a game changer! Thanks for your feedback, Stephen. Glad to hear you’re having a great experience!